Venus Parkview Hotel is one of the pioneer hotels in Baguio City which has already served thousands of guests since 1976. The property has undergone several expansion and a recent renovation in 2014. 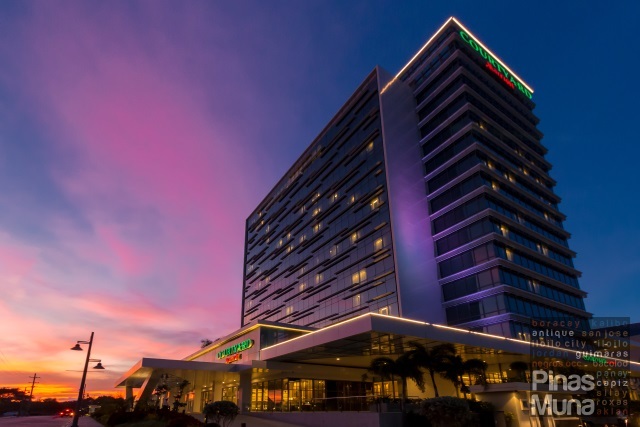 The hotel has a total of 150 guestrooms and suites, including the newest executive category rooms. 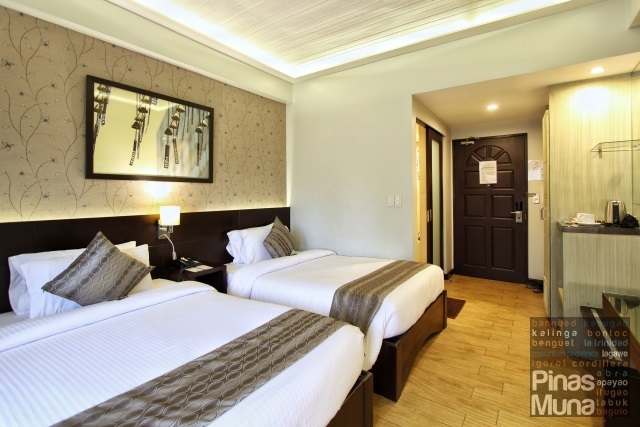 Venus Parkview Hotel is located along Kisad Road right across Baguio City's Burnham Park. 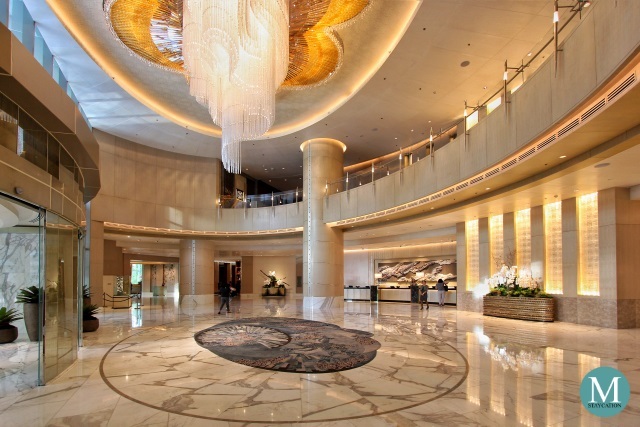 Other tourist attractions, dining and retail outlets are easily accessible from the hotel. 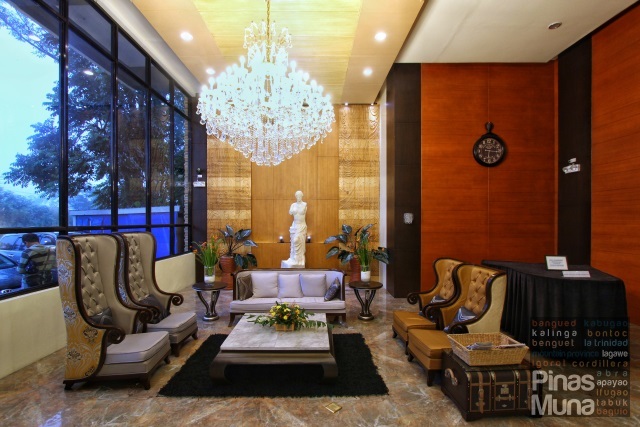 Upon arrival, guests will be welcomed by the spacious lobby of the hotel. The front office is very easy to locate from the entrance. 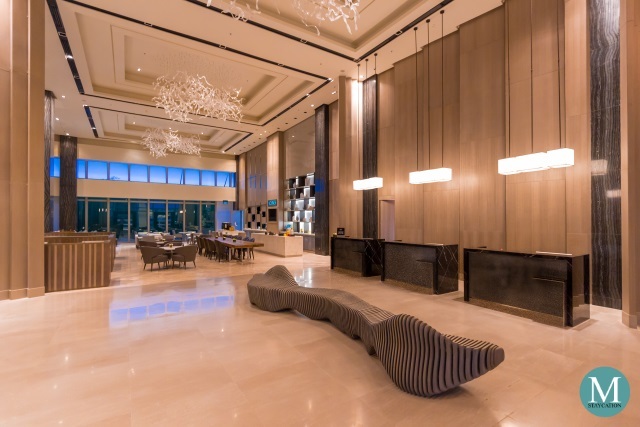 There's also a seating area where guests can relax while checking-in to or checking-out of the hotel. 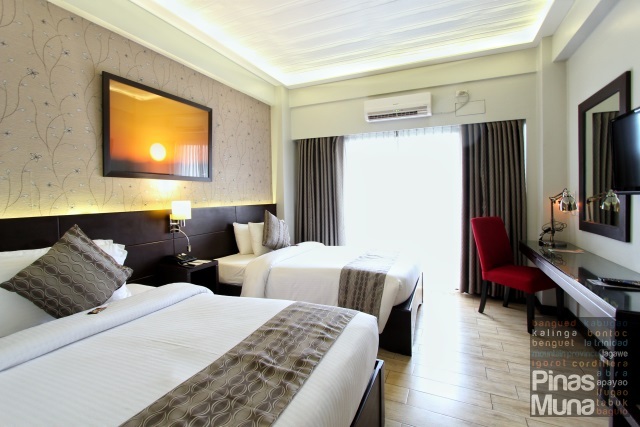 Venus Parkview Hotel boasts of its newly renovated rooms in the executive category which feature contemporary design with coupled with modern technological amenities and conveniences. 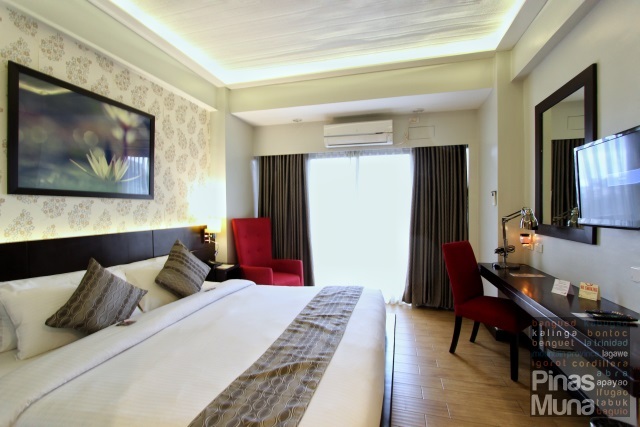 Each executive category room is equipped with an individually controlled air-conditioning unit, LCD TV with local and international cable channels, coffee and tea making facility, electronic safe, and high-speed Wifi Internet access. 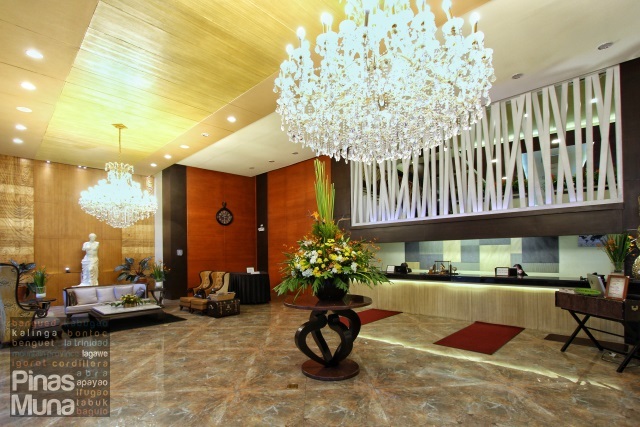 The Executive Twin is the lead-in room of the hotel's executive category of Venus Parkview Hotel. The room is furnished with twin beds with a writing area, a seating area, and a private bathroom. The room is available in two configurations, an Executive Twin without Balcony and an Executive Suite with Balcony which is priced slightly higher. The Executive King is the next higher tier of the executive category. In terms of amenities, the Executive king is basically the same as the Executive Twin, except that all Executive King rooms have a balcony. 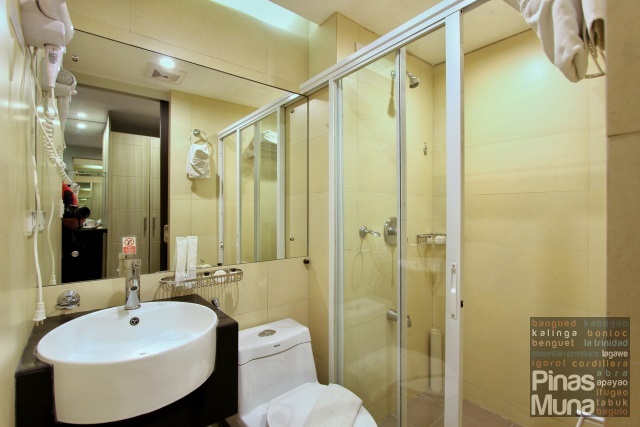 The Executive Twin and Executive King rooms have the same bathroom layout. The walk-in shower is separated with a sliding glass door. Hot and cold shower are available. Water pressure is strong, and water heater works well. Complete toiletries are provided including shampoo, conditioner, soap, lotion and dental kits. The toilet is installed with a bidet spray. There's also a single basin with hot and cold water. A hairdryer is also installed inside the bathroom. 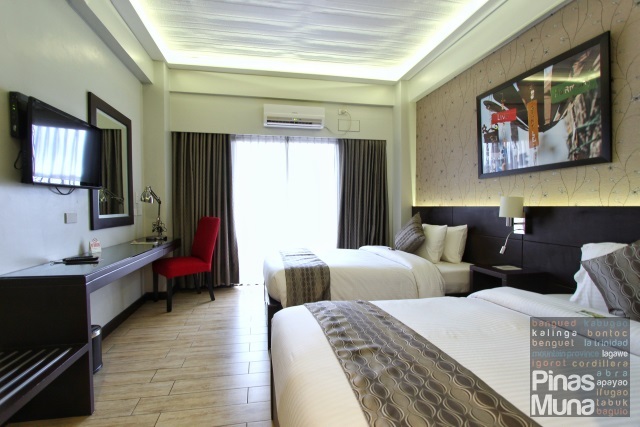 The Junior Executive Suite is the one-bedroom executive suite unit of Venus Parkview Hotel. The suite has living area and s separate bedroom. Both spaces have their own air-conditioning unit. The living area is furnished with sofa and a couch. 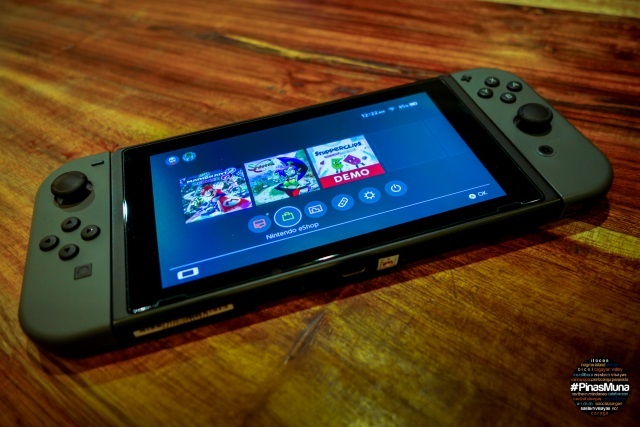 It has it own LED TV with cable channels. The bedroom of the Junior Executive Suite is almost identical to an Executive Twin with Balcony. It has its own air-conditioning unit and its own LED TV with cable channels. 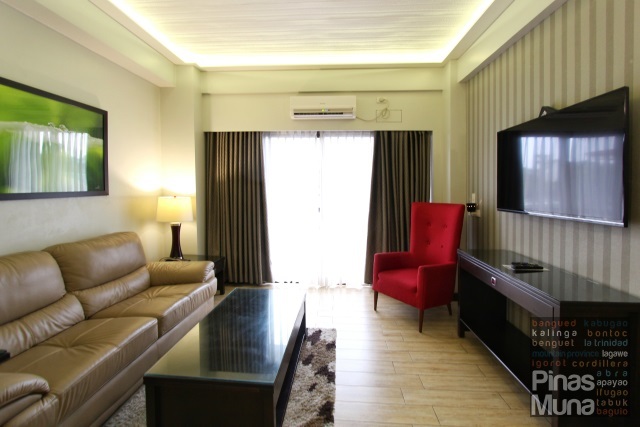 The Premier Executive Suite is the two-bedroom executive suite unit of Venus Parkview Hotel. The suite has two separate bedrooms and a common living area. All three spaces have their own air-conditioning unit. The living area is furnished with a sofa, a long coffee table, and a corner table with a couch. 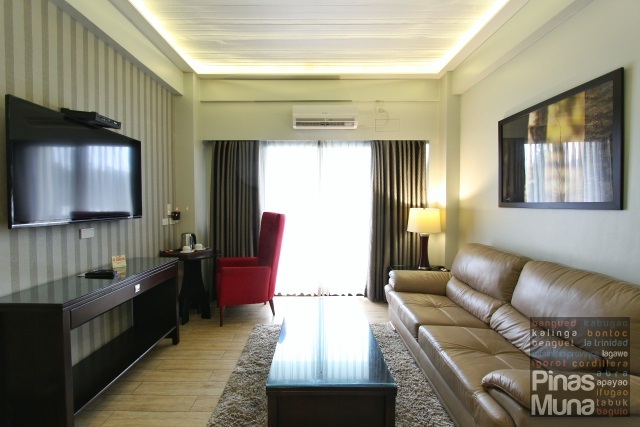 The living area is equipped with an LCD TV with cable channels. 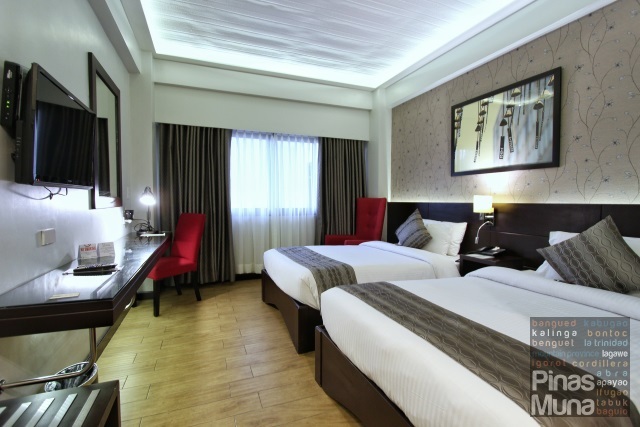 The Premier Executive Suite has a King Room and a Twin Room. 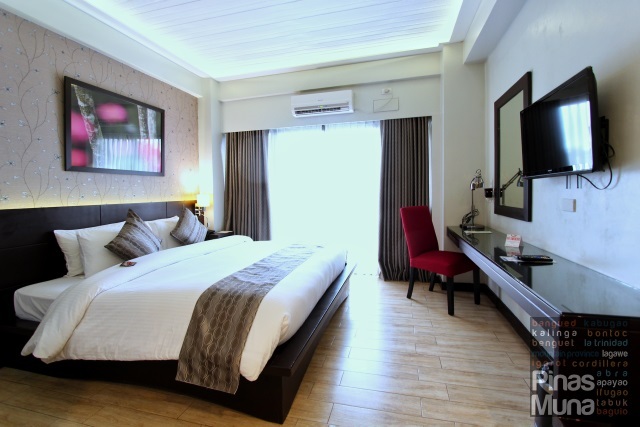 Both bedrooms have a balcony and are both equipped with an air-conditioning unit and have their own LCD TV with cable channels. The Junior Executive Suite has one private bathroom attached to the living area of the suite, while the Premier Executive Suite has three private bathrooms, one attached to the living area and one attached to each of the two bedrooms. All bathrooms in the executive suite units have their own walk-in shower equipped with a rainshower head. Hot and cold shower are available. Water pressure is strong, and water temperature is easy to regulate. Complete toiletries are provided including shampoo, conditioner, soap, lotion and dental kits. Each bathroom has a toilet installed with a bidet spray. Each has a single basin with hot and cold water. Hairdryer is also installed in every bathroom. Olive Cafe is the all-day dining restaurant of Venus Parkview Hotel. 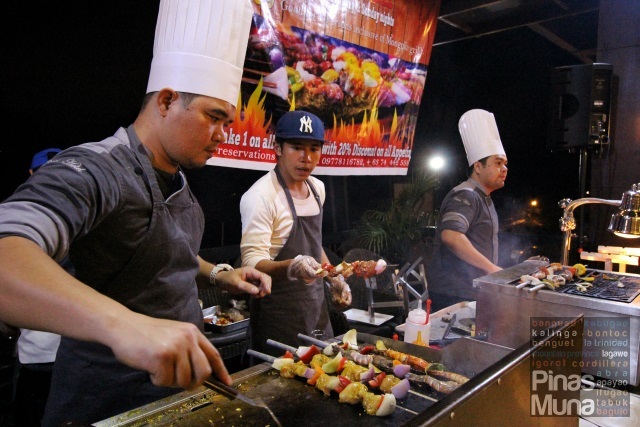 The restaurant serves local and international dishes. An overnight stay at the hotel includes complimentary buffet breakfast for two persons. Walk-in guests are also welcome to avail of the buffet breakfast for a minimal fee. 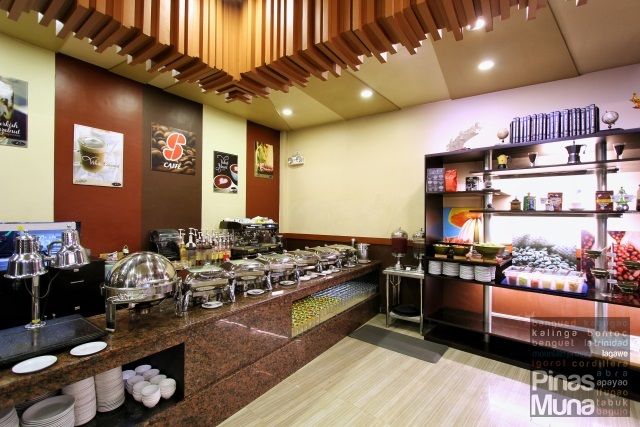 Olive Cafe also serves a la carte dining and regularly runs special dining promotions. 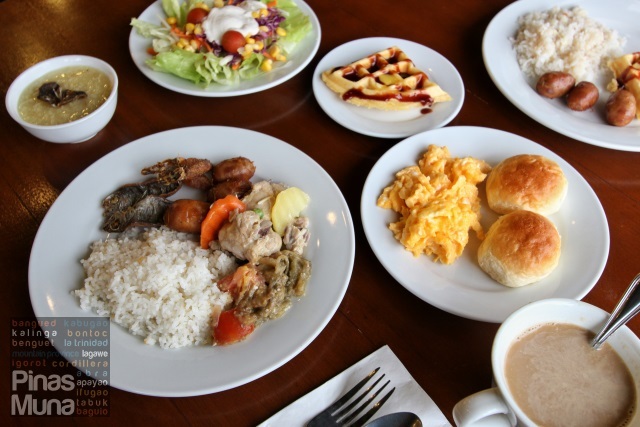 Guests staying at Venus Parkview Hotel in Baguio City enjoy their complimentary buffet breakfast at Olive Cafe, the hotel's all-day dining restaurant. The buffet breakfast is also open to walk-in, non-staying guests for only P210.00 nett per person, a great value for money for tourists and business travelers. 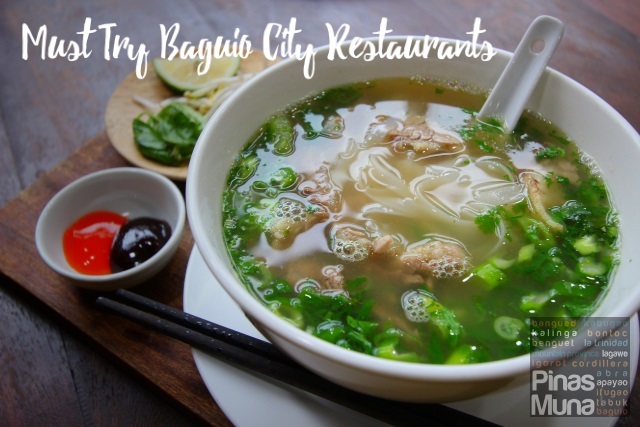 Whether you are visiting Baguio to celebrate New Year's Day or be intimate on Valentine's Day, to witness the Panagbenga Festival or just to celebrate birthday, anniversary or any special occasion with your family and friends, part of our itinerary is visiting restaurants in Baguio where we can gather and share sumptuous meals together.